Really like that hen teal Phil. Decoy from Jode Hillman's Carving clbooty at the Tuckerton Museum in Barnegat NJ. Here's what I've got going on. A Black belly Plover and a trio wood ducks. Nice Jeff, would love to do some shore birds in the future. 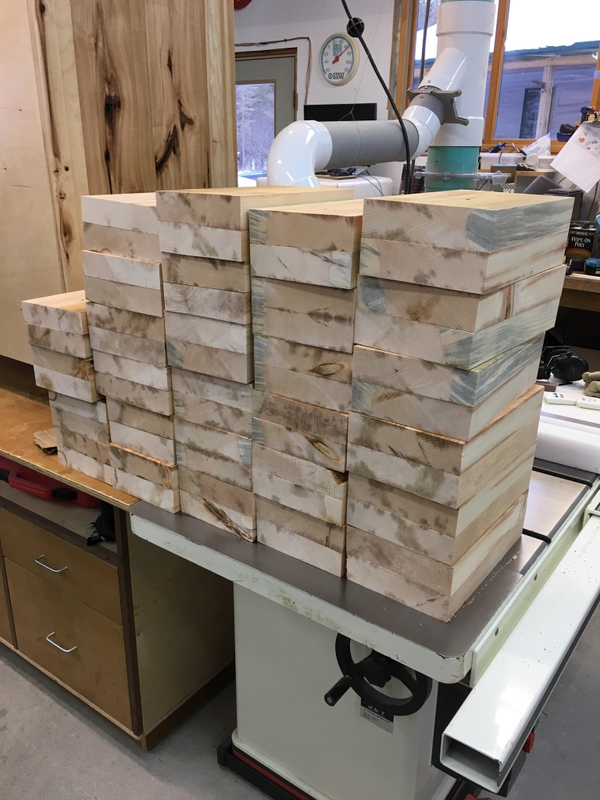 I have several projects on the workbench this month... maxed out the capacity of my dads 15" planer machining up more body blocks for some redheads. The pine has been drying in his wood rack for 10-12 years with no purpose so we decided to put it to good use and turn it into some redhead traitors. 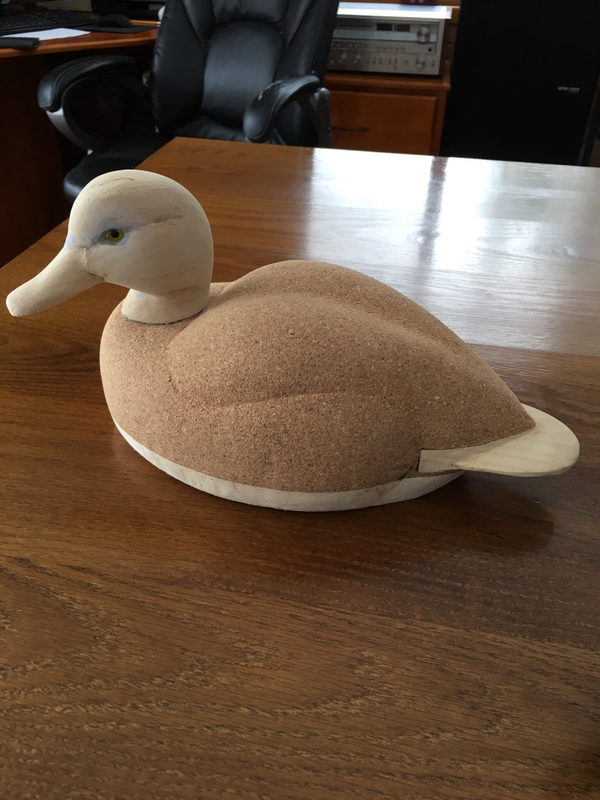 Also carved my first cork bluebill gunner. 3" cork with pine bottom board and cedar tail board. Paint coming this week but I have plenty of other things to occupy my time before it gets here it looks like. Jeffrey - That's a good lookin' BB Plover. 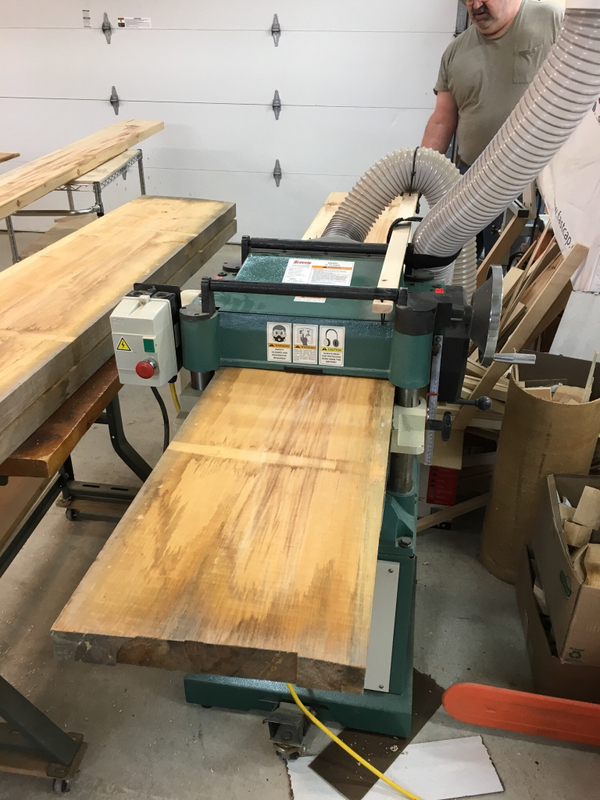 Greg - You have your work cut out for you with all that well seasoned Pine. Your cork Bluebill will hunt just fine after some paint. Lordy, DON'T leave out sealing that stool first! Sorry Vince. Couldn't help myself. That IS a pretty nice body. That's OK George. I would not expect anything else. Did you get this BWT finished up yet Bob? I dont think I saw pics of him painted unless I just missed it somewhere. I have not painted it yet, procrastinating about how I want to do it. Sometime I will dive in and get it done though.